During the data import process, you might need to perform additional actions. To make sure that your data maps correctly, review the following list of the most common scenarios. It is possible to import multiple addresses for the Organization, Account, and Contact entities. You can only add one address per row. If you want to add multiple addresses for existing records, you must copy the entire record and update the address by passing the record identifier. The Data Loader recognizes multiple rows for addresses during insert or update. If there are fields in your source that do not exist in the template, for example, if there is a field in the source called ‘Salutation’, which is not available in the template, check if there is a field in the object you can map to. If there is no suitable field, you must add it. 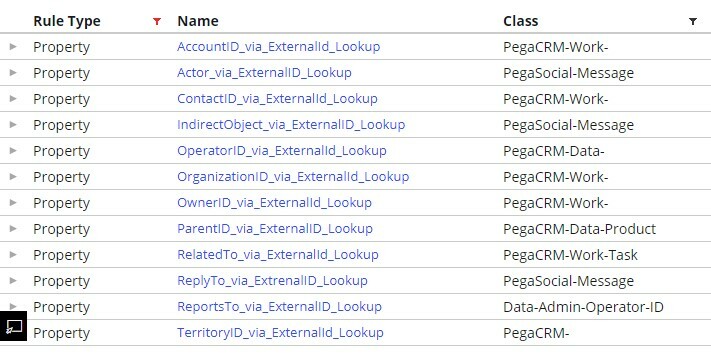 The column headers in your .csv files must be unique as they correspond to field names in Pega Sales Automation. For example, if you want to import the ‘Salutation’ field from your .csv file to a property called ‘Salutation’, ensure that the column header for the salutation is “Salutation”. For more information, see Editing dynamic layouts with Live UI. If you need to customize drop-down values for fields in Pega Sales Automation™, first modify the objects in your application, then use them in the .csv files. Pega Sales Automation rejects records if the drop-down values in the .csv file do not exactly match the values in Sales Automation drop-downs. Use the Mapping options to resolve foreign key relationships from the external file and to populate the appropriate internal foreign key value in Pega Sales Automation. 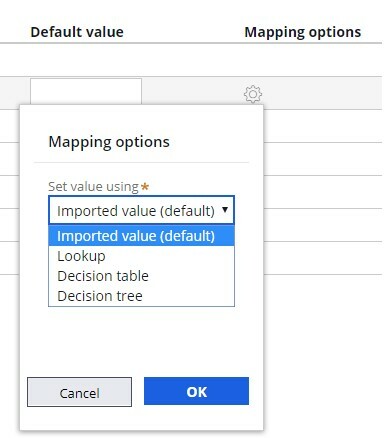 The Mapping options allow users to set fields by using lookups, decision tables, or decision trees. For example, if you have a territory ID in your source file but want to populate the territory name related to the ID in your target field, you can use a lookup to search by the ID and populate the respective name. There are default fields available to use for external IDs that are retrieved by using a lookup.